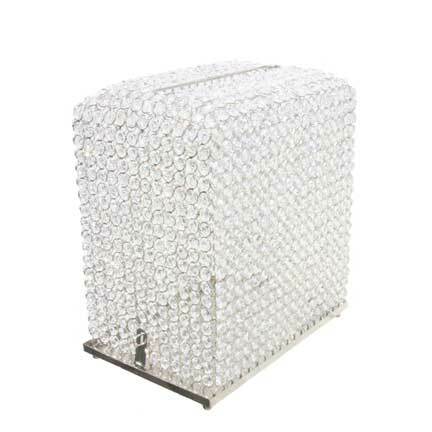 Featuring rows upon rows of lustrous crystals, this card box is sure to glam up your event! We also have many crystal pave items that coordinate beautifully with this card box. Base measures 12.5" x 8.5" and stands 14" tall.